You’ve just realised the incredible potential of using Facebook and more particularly ads to reach your community. This course will give you direction in building the successful foundations to reach your community and make more impact. Or maybe you’ve been dabbling with Facebook Ads for a while and are overwhelmed at the choices and what’s involved. You just don’t seem to be getting the results you had hoped for. This course as a lifesaver for your paid social media. You’ll get actionable step-by-step guide to mastering Facebook Ads and get the results you need. Are you a visual learner? Master ever step with the video presentations. Listen on the go. Download MP3 files and take the training wherever you go. The best way to write and record your action plans. 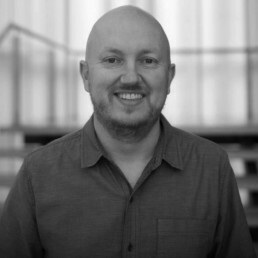 Steve has 10 years experience as a Communications Pastor for his church with broader experience in the creative marketing and communications sector for over 20 years. He grew the church’s Facebook page from 200 followers to over 130,000 followers. The best time to reach more people and create more impact in your community is now! This course is full of actionable steps, not generic high level thinking. You’ll learn from my 10 years of experience in leveraging Facebook advertising for my church.